Last Thursday Kirk was working, and we had two showings scheduled back to back. After I picked up V from preschool, I knew the afternoon would be crazy hectic trying to keep two dogs and two kids busy and away from the house. To be honest, I gave up micro-managing my day a long, long time ago. 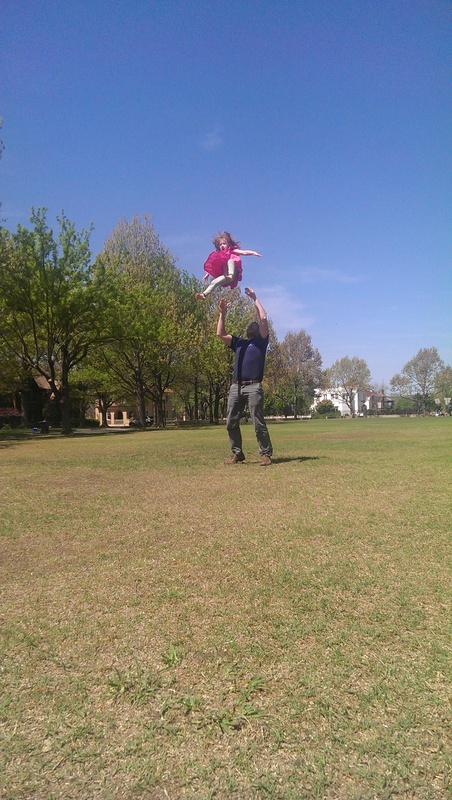 Despite what all the good-intentioned mommy blogs recommended for keeping to a specific schedule, I continually failed. These days, I have a loose plan for the day, but allow for spontaneity and changes. Although it made for a busier morning, I power-cleaned my house while V was in school and packed a picnic lunch. 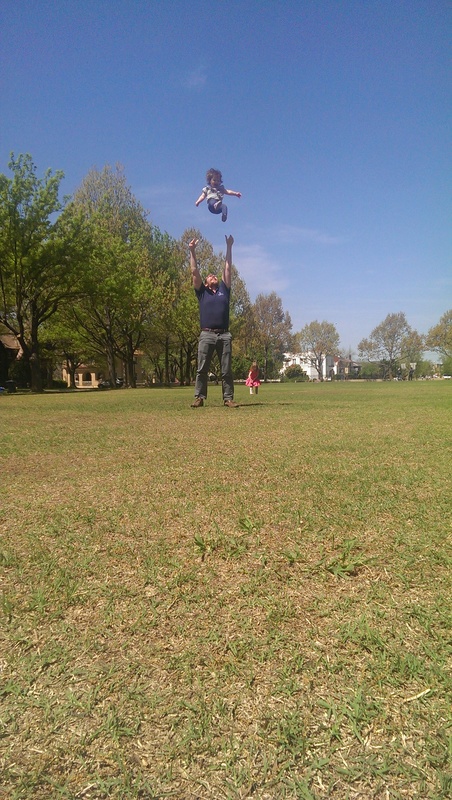 We then joined Kirk at a neighborhood park near his work for a little lunchtime picnic. The trees were gently swaying in a warm, springtime breeze, and we could hear the chatter of neighborhood birds and squirrels and the occasional neighbor greeting another. It was lovely. 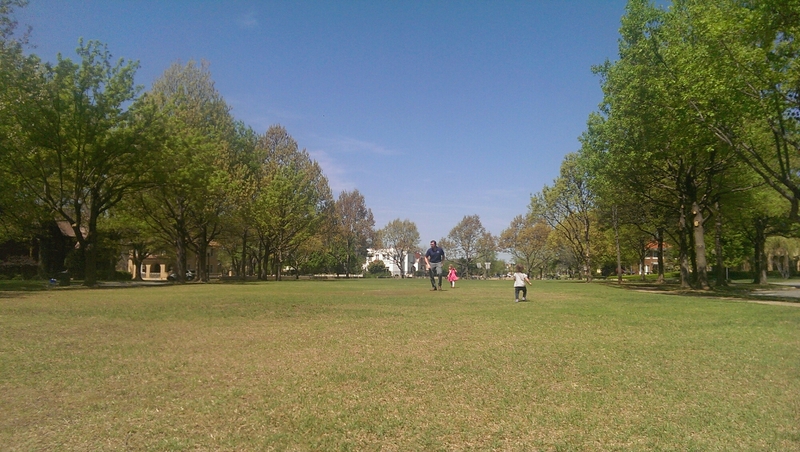 The girls ran and chased each other across the green, begging Kirk to roughhouse with them….just a little. Afterward, we picked up our neighbor and good friend, followed by dropping the dogs off at another neighbor friend’s backyard. I am so grateful for the community we’ve found in our own little ‘hood. 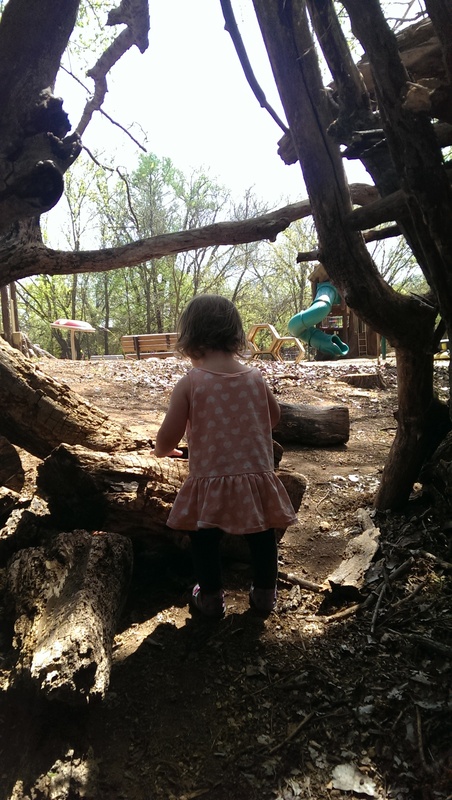 Then we headed to a local nature park for some simple play and exploration. We saw turtles and fish in the river, meandered some tree-lined paths, and spent a majority of the time on the natural playground overlooking the river. The girls giggled and played, enjoying the warm afternoon sunshine. 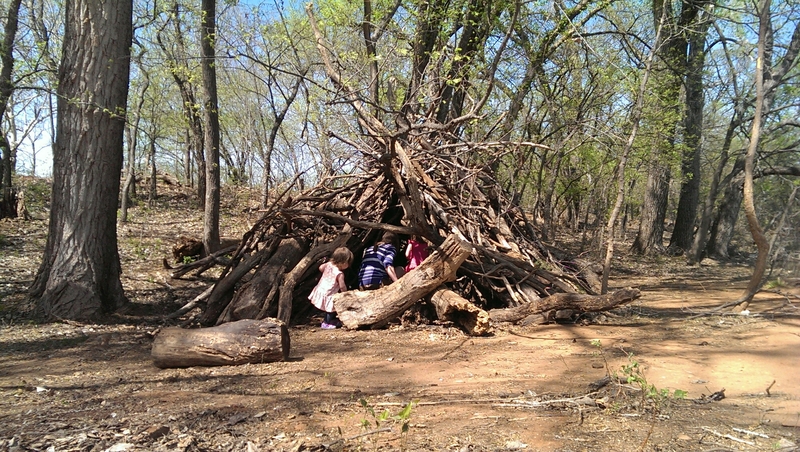 We then discovered what looked like an animal den, completely constructed of branches. Crawling inside, we sat and looked at the sunlight filtering and bending around the bark, the girls pretending to sucuumb to slumber, like a little fox in its den. After, V found the water’s edge and used a stick to make ripples in the water and call out to the nearby geese and ducks. We capped off the afternoon with some frozen yogurt, relishing the sweet treat after some hot play. 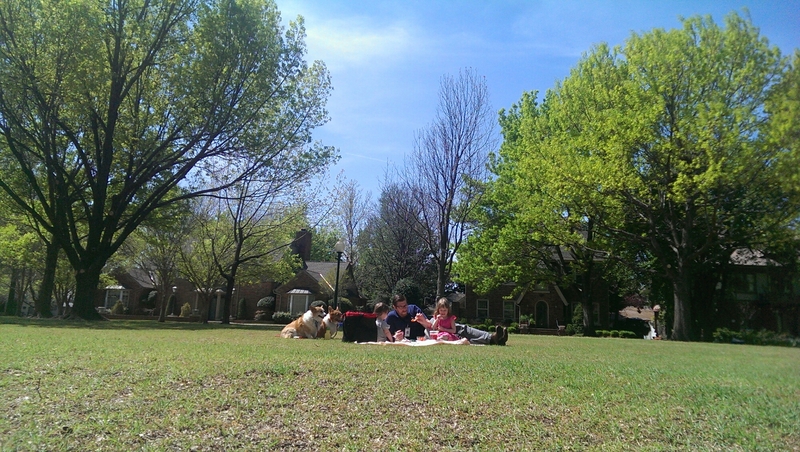 It was a perfect afternoon.